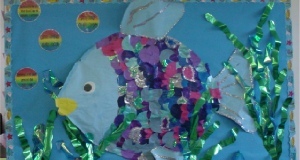 A colour banner for your Rainbow Fish display. 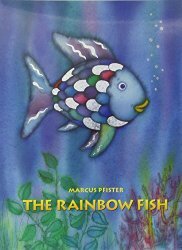 A set of 9 JPG images showing the main events from The Rainbow Fish story by Marcus Pfister. These pictures can be resized easily for use in a variety of ways. Great for classroom displays or when retelling the story orally. 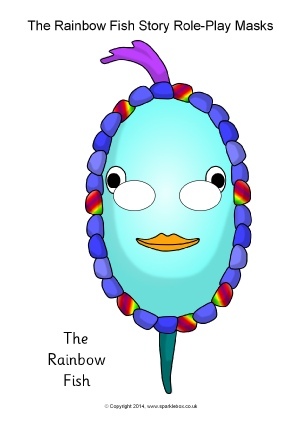 Simple printable masks featuring the characters from the story of The Rainbow Fish. 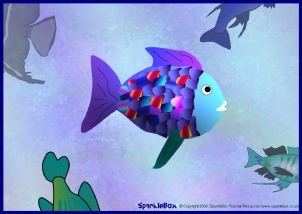 A set of printable cut-out pictures of characters from The Rainbow Fish story by Marcus Pfister. 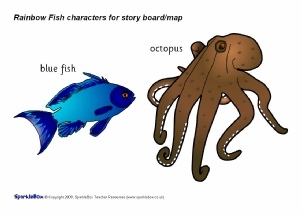 Great for use on story-boards and for oral retelling of the story. 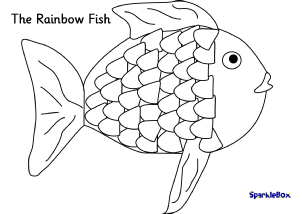 A ‘Rainbow Fish’ image which can be used as an ICT colouring activity. 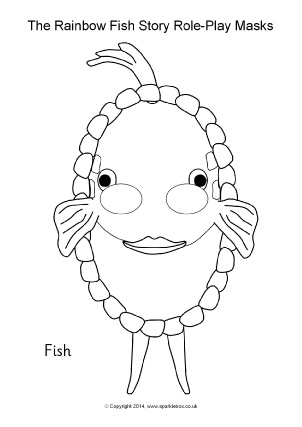 Open the BMP image up in Paint, Splosh or similar program and your children can use the ‘Fill’ tool to colour each of the fish scales! Alternatively, it can be printed out and used as a basic colouring worksheet. 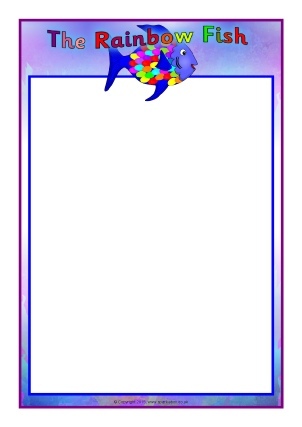 Portrait and landscape A4 pages with a Rainbow Fish themed border. Includes editable Microsoft Word templates as well as resizable JPG images.